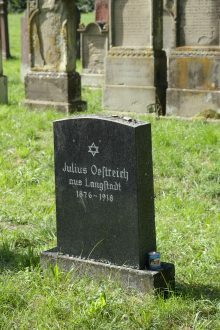 Julius Oestreich was born on February 28, 1876 in Langstadt/Babenhausen as the son of Nehm „Nathan“ Oestreich and Guthal Steiermann. The Oestreichs were one of four Jewish families among a population of 700 at the time. Julius married Sara Adler, born May 22, 1882 in Hintersteinau, Main-Kinzig-Kreis. Julius Oestreich with his son Max. Max‘ sister Betty Aumann and her family were deported from Frankfurt. 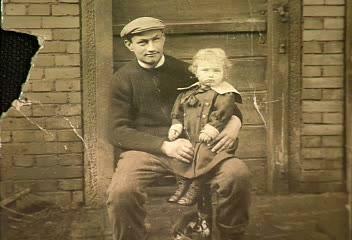 Max and his wife settled in New York and later made Aliyah to Israel follwing their daughter. Max died in Israel on November 6, 2009. His sister Betty had married Sally Aumann from Eisenbach/Selters on March 14, 1939 in Frankfurt. 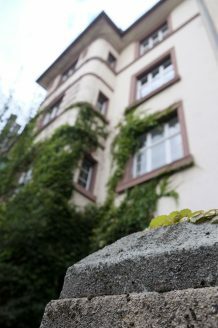 They lived at Bornwiesenweg 34 but were later forced to move to Seilerstr. 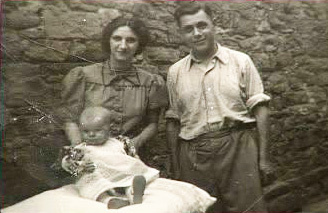 35 where their daughter Judith (* 1940) and their son Jossy (* 1941) were born. 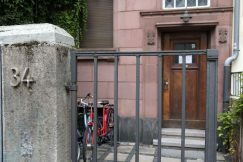 Also Betty’s mother Sara moved from Langstadt to that address. 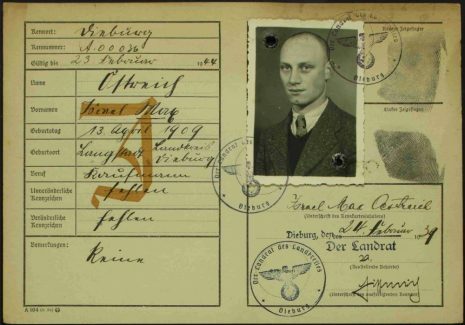 The whole family was deported to Theresienstadt on Sep 16, 1942. Jossy died there on Nov 7, 1942 and Judith on Dec 9, 1942. Sally was deported to Auschwitz on Sep 28, 1944 and selected for work. He survived and emigrated to New York after the war since a new beginning in Eisenbach failed. 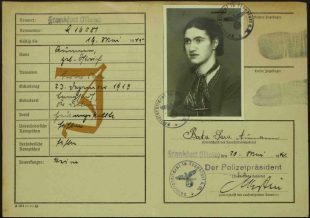 Betty was deported to Auschwitz on Oct 4, 1944 and killed upon arrival. 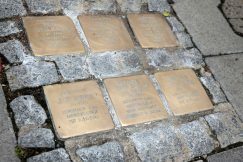 At Bornwiesenweg there are Stolpersteine for Betty and her children. 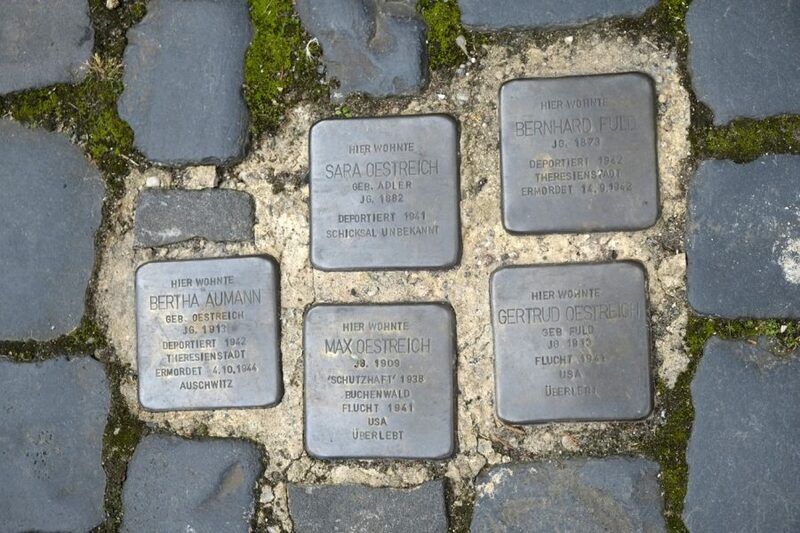 At Langstadt there are Stolpersteine for Max Oestreich and his wife Gertrud, Betty Aumann, Sara Oestreich and Gertrud’s father Bernhard Fuld.